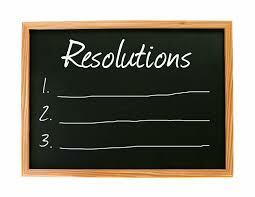 It’s that time of year again where we make resolutions and plan for the upcoming year. 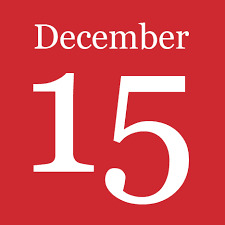 We feel with the turning of the calendar for a New Year we have a clean slate and a fresh start. We plan on doing things we should be doing but haven’t. We also want to stop doing things we shouldn’t. But most importantly start doing things that are fresh and new. So with a clean slate and a fresh start let’s take a look at 2016 and your plans for a bigger better New Year. o What am I Excited about? What is it about what I am doing and where I am that Excites me? Whatever it is keeps your interest, drives your success and moves you forward. This is your Hot Button so you want to do more of this. Look for ways to keep your Excitement up! o What am I doing that I would Change? What slows you down, what makes you procrastinate, what keeps you from completing your goals. These things are your Cold Button. These things you will want to change or even do away with. Look long and hard at this area as well and Change what you can. We all know there are actions involved in what we do that must be done, it is a part of the process and must remain that way. But there are things you can Change for the better and must. o Now look for a Solution to increasing what excites and changing what you must. Whatever you decide on write it down. There is plenty of room on a clean slate to write everything down. o The final step is the most important. You must Decide to put these things in motion and follow up on a regular basis. As you follow up on what you do during 2016 or any year remember the Clean Slate Fresh Start concept. At any time during the year you should get off track you can once again start over with a Clean Slate Fresh Start. I also use this concept on a daily basis. If I have what I feel is a bad day I will simply give myself permission to start the day over. I take a deep breath, say a prayer and begin again. You too can start over at any time if you feel the need. Don’t wait for the end of year but do it on the day you notice the need. 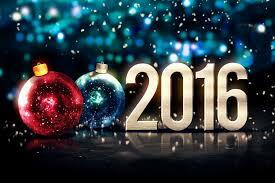 All the best in 2016! May it be your best year yet! 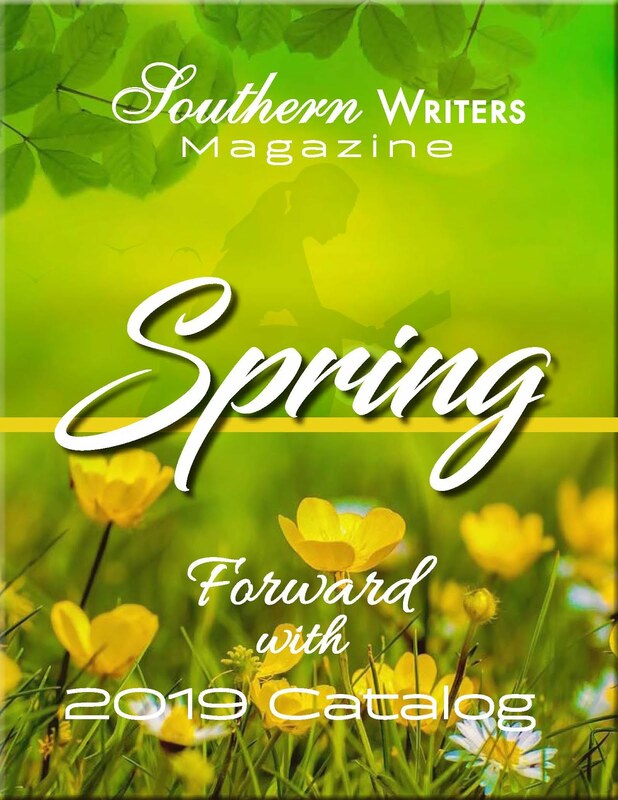 When I learned that FIREFLY SUMMER, my Southern tale of a small town book club called the Pies, Books & Jesus Book Club, would finally be published, I was beyond thrilled. You see, for almost ten years, this was one of those books of the heart that just wouldn’t let me go. 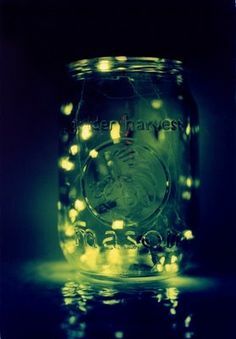 From the small town setting, so like the little Texas town where I grew up, to the characters who populated the story—including one who is aptly named after my mother—FIREFLY SUMMER is, in a word, special. 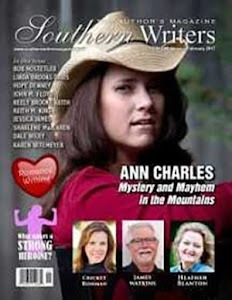 Finding a way to get the word out about this book and the Pies, Books & Jesus Book Club series meant putting on my Southern thinking cap, or rather my straw hat, and coming up with a plan. 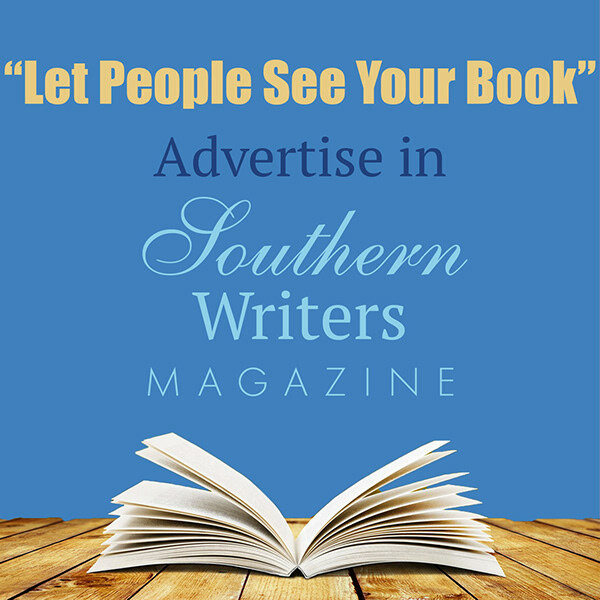 Social media has been a great place to spread the word, but there are so many more places to talk about Southern fiction than just on Facebook and Twitter. I decided to go for a three-pronged approach that includes reader engagement, special promotions, and a giving back to the readers. First, reader engagement: What better way to introduce readers to the Pies, Books & Jesus Book Club than by creating an actual book club? I’ve got a page set up on Facebook where readers can gather and discuss the same books the characters in the series are reading. The page is still a work in progress and will grow as the series grows, but you can check it out here: http://on.fb.me/1R87tWq. Though using special promotions is nothing new in the writing world, offering a series that is interactive—that is letting the readers choose which characters will get the next story—is. 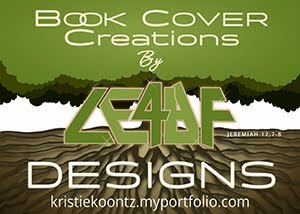 Readers who follow my Facebook author page or who connect with me through the book club page will get to vote on story lines, choose covers, and maybe even name a character or two. I truly want this series to be reader centric and reader driven. 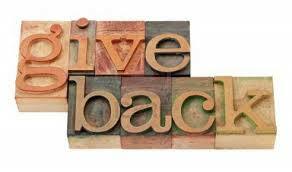 And finally, I want to give back to my readers. Any Southern lady knows if guests show up, you offer sweet tea and a slice of pie. While I wish I could actually do that, I think I’ve come up with an acceptable substitute. Readers who sign up for newsletter alerts will be getting several special surprises. I don’t want to tell too much, but there are several plans in the works to give readers inside information on the books as well as specially written short stories and character backstories that cannot be found anywhere else. Beyond promoting FIREFLY SUMMER and the Pies, Books & Jesus Book Club series, including the upcoming novella AUTUMN SKYE (releasing October 2016 in The Boy Next Door collection) and the 2016 novel tentatively titled SPRING FLING, I want to offer an experience to my readers that will be both rewarding and entertaining. So watch my website, www.kathleenybarbo.com, and Facebook author page, www.facebook.com/kathleen.ybarbo for the details! In the meantime, thanks y’all, and happy reading! 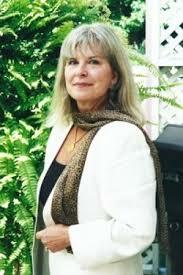 Bestselling author Kathleen Y’Barbo is a multiple Carol Award and RITA nominee of more than sixty novels with almost two million copies in print in the US and abroad. 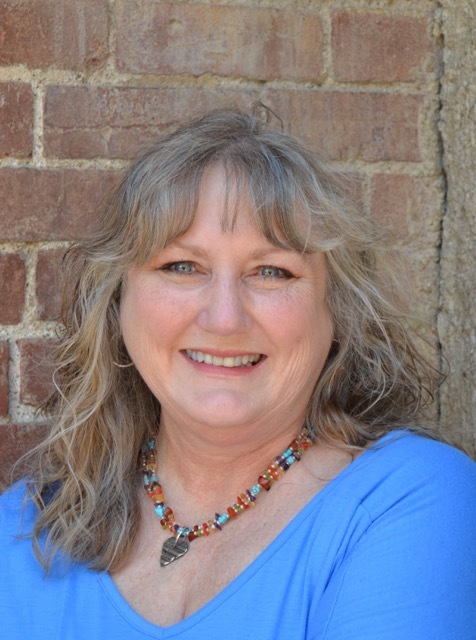 A tenth-generation Texan, she has been nominated for a Career Achievement Award as well a Reader’s Choice Award and is the winner of the 2014 Inspirational Romance of the Year by Romantic Times magazine. Kathleen is a paralegal, a proud military wife, and an expatriate Texan cheering on her beloved Texas Aggies from north of the Red River. 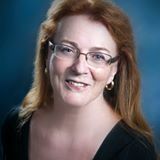 Connect with her through social media at www.kathleenybarbo.com. Sadie’s Secret, a Secret Life of Will Tucker historical romantic suspense novel, is in stores nowas is Firefly Summer, the first in the contemporary Pies, Books & Jesus Book Club! I can't say I've read any of the books, but I have it on good authority that Fifty Shades of Grey now has a counterpart series, telling the same story from the guy's point of view. Beginning with Grey, released in June, author E.L. James is getting new mileage from her popular trilogy by sharing more shades of grey. 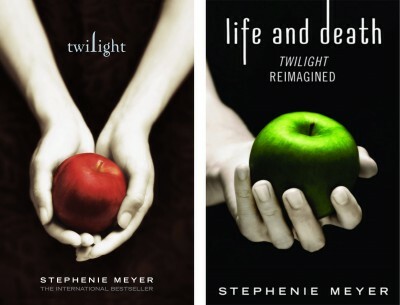 Twilight is also enjoying a reincarnation by its original author, Stephenie Meyer. In a reversal of genders, this time the male vampire Edward will be a female vampire named Edythe, and Bella will be a young male named Beau. One can only assume the love triangle will involve a wolfgirl. Veronica Roth gave fans of Divergent new insight into its male co-star when she released Four, a collection of five short stories from character Four's POV. Roth reveals that she had originally written Divergent from Four's perspective and that its female heroine came into being only after the first draft. A fair amount of such retreads can be found in fan fiction, but the trend to turn the tables has been going on for some time. Wicked, a retelling of the Oz saga turning the wicked witch into a sympathetic character, was the frontrunner in only the current crop of reimaginings. Back to the Future dabbled with multiple POVs in its sequels, when we got to see bad guy Biff's reactions and interactions with events we had seen in the first film. Marty himself encountered his own pasts and futures with new eyes as he traveled through time. From Peter Rabbit to The Three Little Pigs, kiddie tales have long lived happily ever after through rewrites that let the villain tell their side of the story. But fantasies and fairy tales aren't the only stories able to benefit from a shift in perspective. We can use this principle as a way to elaborate on the conflict between two characters with opposing viewpoints. Or a close examination of our story may reveal that the strongest POV belongs to a character other than the protagonist. Since the beginning of publishing, the classic stories have been rewritten again and again, thanks to new sets of characters in new settings that differentiate things enough to make it all seem brand new again. Perhaps one of your own published books will be suited to a reimagining. 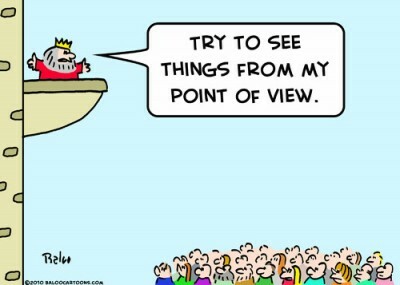 The points of view we choose to convey can enliven things by telling more than one side of the story. Abraham Lincoln said, “We can complain because rose bushes have thorns, or rejoice because thorn bushes have roses.” A difference of opinion makes things interesting, and we can all agree on that. In 2004, Christopher Booker published The Seven Basic Plots. 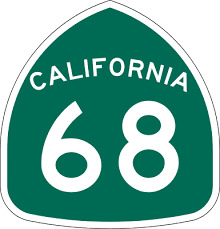 There have been others who’ve put forth other numbers, but let’s just agree; whether it’s six, seven, or twenty, it means that your plot isn’t going to be unique. 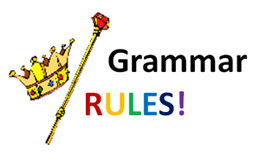 Grammar rules can’t be bent, not broken, and we all have the same number of words at our disposal. So what’s the use of slaving away, if someone has already written your story? Ah, but they haven’t. If you gave the exact same writing prompt to a roomful of writers, you’d end up with a roomful of different stories. Some would be sad, some funny, some snarky, some sweet. Wheaton College says voice is style, diction and tone. But I think it’s more than that. There’s an indefinable quality you recognize in your favorite authors. I could read a story and recognize Stephen King wrote it, or Pat Conroy. I’m sure you could as well, for your favorite go-to authors. One of my old friends, upon reading my first book told me, “I felt like you were telling me the story. I heard you in my head.” That is voice. But how do you find yours? I have good news. You don’t have to. You already have it. This isn’t like POV, dialogue, characterization, or other craft skills you need to learn as an author. Whenever I hear a new writer struggling for voice, it’s invariably because they’re trying to emulate someone else’s. I mean, after all, you’ve been reading books your entire life and those authors got published, so they must be doing it right, right? Wrong. Those authors have their voice, you have yours, and yours is every bit as legitimate as ________ (insert your favorite author’s name). I have an exercise for you. Go find your best friend, or your husband, or your child. Tell them a story. Make it a good one – you know, the kind that makes their eyes light up and hang on your every word. I promise, when you’re doing that, you’re doing it in your voice. Now, find a story you’re that excited about telling, relax, get out of your own way, and write. Your voice will shine through. 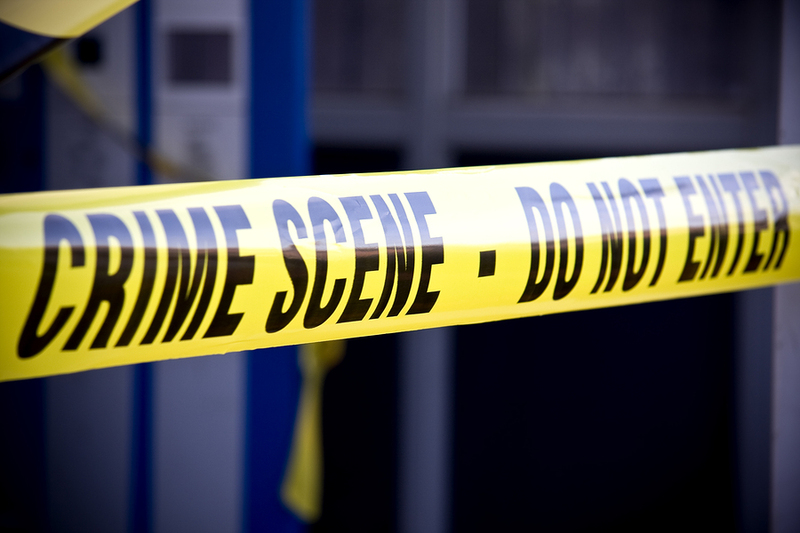 There are two major problems in doing research for a crime novel—too little or too much. This becomes even more hazardous when writing about something you believe you know everything about, and/or are so lazy you skip over minor details that you think are trivial and no one will notice an uh-oh here and there. You’ve no doubt read books where you know the author hasn’t done any research and simply relied on hearsay, old wives’ tales, urban legends, and the like, or includes seemingly infinite details on the specifics of a technical procedure or piece of equipment to the point of your falling asleep, or worse, becoming so bored that you toss the book across the room. That’s not a place where you want your readers to be. Some years back, a best-selling mystery writer had a very tense scene going when the protagonist jumps into a Porsche 356 and is surprised by someone hiding behind the seats. Setting aside how much of a cliché that scene has become, it’s obvious the writer was trying to impress by using a classy automobile, but had never actually looked behind the seats of that model Porsche—there is only enough room for very small children or possibly legless adults. Yet, the scene was integral to the plot. 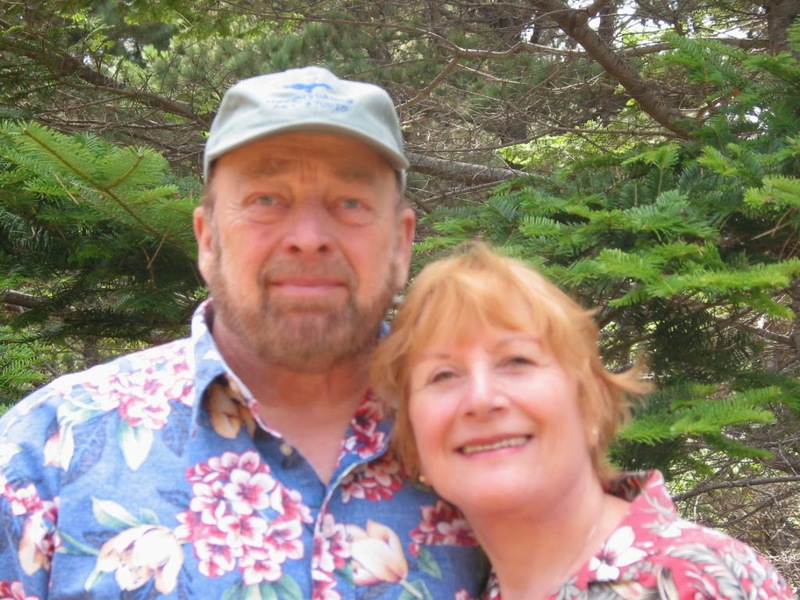 For us, our medical thrillers often also include significant references to art, journalism, and automobiles—Bette is a Registered Nurse and artist; J. J. is a former journalist and a life-long auto enthusiast/mechanic. Yet, when using our background knowledge, or writing about “common knowledge” stuff, we never assume that what we put down on paper is correct. A little research (beyond Wikipedia) cuts the number of post-publication nightmares. In Bone Dry, the first of the five Gina Mazzio medical thrillers, much of the story was built around a cancer treatment known as autologous blood marrow transplant (ABMT). This came after much reading, talking with nurses and doctors involved in the procedure, and visiting an actual unit at the University of California at San Francisco. Sin & Bone required deep research into the scary, dangerous, and illicit trade in human body parts. Bone Pit made us take a close look at Big Pharma and how drug trials are conducted; we also discovered an investigative agency few people know about—the Federal Drug Administration’s Office of Criminal Investigation; and we threw in some exciting mountain driving through Nevada’s isolated gold country (where we lived for a time). Bone of Contention is a “ripped from the headlines” kind of story where we had to look at and try to understand both sides of the on-going battle between pro-abortion and anti-abortion people and organizations. And our newest, Bone Dust, gets very bloody as we unravel the background and motivation of a twisted phlebotomist’s deadly involvement in bloodletting. Throughout, the trick has been to make medical and psychological events accurate and believable without inundating readers with pages and pages of scientific babble to the point where they want to throw our books up against the wall. Today is Christmas Eve and The Elf on the Shelf's job is done. The book by the same name was written by Carol Aebersold and daughter Chanda Bell in 2004. Their self-published book highlights the old tradition about an elf sent from Santa who came to watch over children at Christmas time. Another daughter, Christa Pitts had sales and marketing experience and developed the elf that was packaged with the book. They all attended book signings and trade shows to promote their book product now a Christmas tradition for many families. The Elf on the Shelf has won the Best Toy Award and Book of the Year Award. 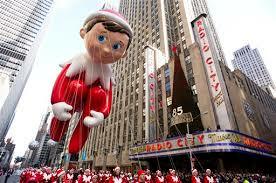 The Elf on the Shelf has its own balloon in the Macy's Thanksgiving Day Parade. There is even an animated Christmas TV show, An Elf's Story: The Elf on the Shelf. The Elf is very big. My children were too old when the book first released. I'm secretly glad. The idea of an Elf moving around my home from Thanksgiving to Christmas Eve is creepy. Maybe I'd like it better if the Elf was looking out for "The Great Pumpkin." 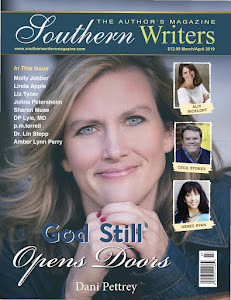 I was scrolling through Facebook earlier this week and found a post by my author friend, Cara Brookins. She is an inspiring author and motivational speaker. Here is her Elf Land original post, "No down time at our house for Christmas week. A murder mystery in my library to ponder over coffee. #whodunit". Obviously, likes and comments abound when it was determined the "murder" victim was an elf off the shelf surrounded with crime scene tape. My comment was, "elves on the shelves are creepy...a new 2016 show by Jerry Bruckheimer..."CSI Elves." 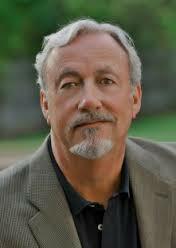 The best comment came from author, Roger McKasson, "The detective should ask Santa who did it, as HE KNOWS, who's been naughty or nice! ;)"
It's amazing how a Christmas children's book subject has now turned into a cozy murder mystery plot playing out on Facebook. Great way to develop a story. Cara advised she planned other Elf Land crime investigation scenes. Her second post, "Breaking news: This morning Santa uncovered the elves secret poker lair and some clues about the recent murder in Elfland. #elfonashelf #gonebad". Oh the horrors! Santa and the North Pole are appalled! This Facebook writing exercise just goes to show you can take time between holiday activities to write daily even if it is to add a comment on Cara's Elf Land crime scene. You are thinking, plotting and writing. So this Christmas season tap into your magical inner writing "elf." Create a story of 1500 words. You can do it. Remember an elf somewhere may be watching. 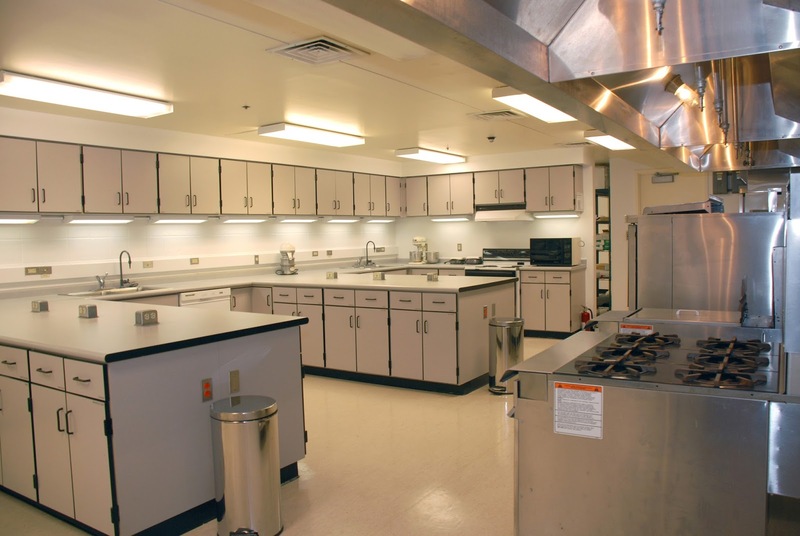 Because I loved experimenting with food and creating new recipes, I wanted to work in a test-food kitchen. High school teachers urged me to become a teacher. No one mentioned anything about writing. After acquiring credentials for both food-related professions and education, a lifelong career fell into place—much of it based on writing. Blogs give an opportunity to communicate thoughts, beliefs, ideas, or helpful information the public might otherwise not know. 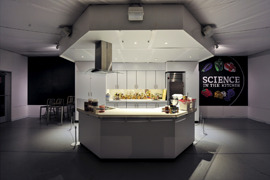 Articles in magazines, newspapers, and other venues provide a medium to educate and inform. 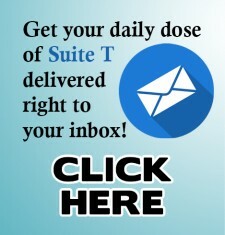 Newsletters for organizations, communities, or industry focus on specific readers and their needs. Books on topics of one’s expertise or interest will enlighten or entertain readers in a given subject. 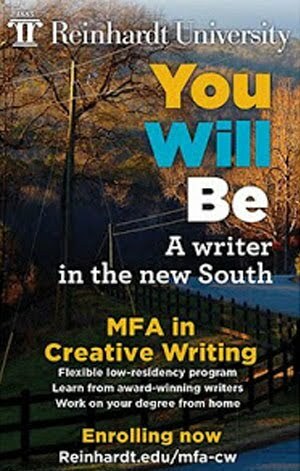 To learn why others in my profession write, I asked a national writing group of peers why they chose to write. For most, this wasn’t a major part of their responsibilities. For these health-related professionals, answers reflected concern for the health and well-being of the public. Below are select responses along with my own reasons. Regardless of the profession we choose, those same or similar reasons may apply. But Melinda, a dietitian-nutritionist in the Midwest, added a different perspective as to why she writes. She explained that she writes to leave the world a better place because of her unique skills. Each of us has distinctive talents and abilities. Whether we write fiction or non-fiction, the goal is to help the reader improve or learn in some way. Whatever we write, it’s hard to improve on Melinda’s focus. Does our writing reflect concern for the world in which we live? Labels: .Southern Writers Magazine, .Southern Writers Magazine's blog Suite T, Linda R. Shoaf, Why Write? I was so anxious for the holidays to get here; I put my Christmas tree up, decorated it, and put a few presents under the old tree. Then I put my tables up and created my Christmas Village, all this November 5. A little early, I admit…but I get to enjoy it a little longer this year. Next year I will pass the Christmas Village to my oldest daughter so she can put it out for her grandchildren…my great grands. There are four of them. Three little boys and one little girl. At their ages, I can see their little eyes blinking and hear their oohs and ahs as they see the village light up and snow all around. Even as an adult, I’ve enjoyed that Christmas Village every year and I will admit I will miss seeing it up at my house during the holidays. But, there comes a time to pass to others things that will bring them joy. Next year I will have something new to enjoy when I go to my daughters––watching my great grands precious faces light up as they look at Mimi’s village with all the people and trees. 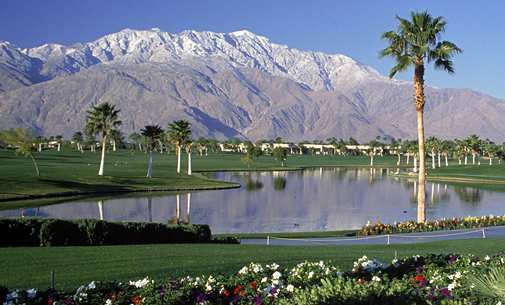 See the churches, schools, houses and buildings plus the cars, trucks and skiing slopes. Oh, and don’t forget all the trees, roads and sidewalks. They will have so much fun. It’s a wonderful time for children, young and old. What does this have to do with writing you ask? I think this holiday would be a perfect time, to write a few short stories about what Christmas meant to us as children; things we did, places we went. Trees we decorated, presents we got and family members who were there. Describing all the wonder and joy during those special times would make a beautiful set of stories to pass on to our children, grandchildren and those yet to come. It will give them an opportunity to see how special holidays were with our families. So, try it during the holidays this year. As memories pop up in your head, put them to paper. Who knows, you might have enough stories to use to write a Christmas book and it be published in time for the holidays in 2016. According to whatever written word one is reading, I’m elderly, or so they refer to people my age in the newspapers and in books. I’ve always liked the saying that goes something like, “How old would you be if you didn’t know how old you were?” I think I’d be in my 40’s or 50’s. You probably wonder why I even both to bring this up. Well, I wrote my first book and published it when I was 68. Now, its three years later, and I have fourteen books out and all of them have been best sellers and several are #1 now in various categories on Amazon. Too late to start something new? Don’t think so. At least that memo never made it to me. It all started when my husband and I were at a wedding in Palm Springs. It was 107 degrees in October. I made an offhand statement that changed my life. I looked at him and said, “Wouldn’t it be wild if someone put a drug in the air conditioning and everyone felt good all the time. And so Blue Coyote Motel was born, the first of three in the suspense series. I started writing it that afternoon on my iPad at the hotel. It received great reviews and even won a couple of awards. I was pleasantly shocked. I changed genres a year ago. I remember the moment well. We were at a resort in Arizona, and I was having coffee in bed, playing with my iPad. I started making some notes about a coffee shop on the Oregon Coast. At that moment I decided to write a cozy mystery because I love dogs, food, and cooking. A month later I published Kelly’s Koffee Shop, the first of the Cedar Bay Cozy Mystery Series. For whatever reason, it was an instant hit with people and climbed to the top of the charts, even making Amazon’s Best Seller List of Top 100 Paid Kindle Books. Without setting out to do it, I’d started a series. People wanted more of Kelly and Mike and their adventures. Several books into the series I wondered what would happen if I started another series. I wrote about a woman who is widowed and owns a spa/lodge north of San Francisco on the coast. The first book in that series, Murder at Cottage #6, sold amazingly well. I was thrilled that I wasn’t a one series author. Now I’m getting ready to publish the first book in yet another series, Murder and the Monkey Band, a High Desert Cozy Mystery Series set in a small town near Palm Springs, California. The protagonist in this series is an antique and art appraiser with a psychic sister. I’m looking forward to seeing how it will do. I’ve been told by readers that one of the reasons they love my books is because the main characters are middle-aged. They’ve seen a lot of life and even have a little baggage at this time of their lives, but don’t we all? Children, grandchildren, ex-husbands, deceased husbands, all of these are part of my books. When I speak to groups I’m often asked if I have any advice for someone who would like to write a book. Sure do – just do it. You don’t need a million workshops, review groups, or a degree in writing. Just do it! Follow your passion. Who knows? You may have a best seller on your hand. Dianne Harman lives in Huntington Beach, California with her husband Tom, a former California State Senator, and her boxer puppy, Kelly, named after the first book in the Cedar Bay Cozy Mystery Series, Kelly’s Koffee Shop. Her passions are cooking and dogs, so when she’s not cooking, she’s probably playing with Kelly, who has gone from being an inquisitive puppy to a young dog that has learned what “leave it” and “no” mean, much to the relief of Dianne and Tom! To view Dianne’s other books, go to http://ow.ly/QPNh1 Please feel free to follow her on these social media sites: Web Site http://www.DianneHarman.com Blog: http://dianneharman.com/blog/ Twitter: @DianneDHarman https://plus.google.com/u/0/110409099727295696245/posts https://www.pinterest.com/dianneharman96/ To find out about new releases and others things related to my books, please go to my web site and sign up for my newsletter. Plus, you can get a book of mine for free. Enjoy! Can a forensic, mystery/thriller author write in the paranormal world without going too fantasy or Sci/Fi? After completing The Bell Trilogy, I had several writing projects to consider. When I came across a bizarre, secret government program, I asked myself that question. The more I researched, the deeper I moved into the fringe of human understanding. When I was up to my neck in the murky waters between mainstream science and paranormal phenomena, my creative juices were flowing. I was motivated. A story was taking shape. But was this a novel I could write? 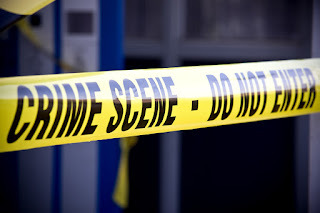 My forensic training forever changed the way I looked at the world. The processing of a crime scene required discipline. Precise identification, collection, preservation, and analysis of evidence mattered. Done right, a complex and often illusive story would be told—all insights based on empirical observation or scientific research. In my world, if something was not a provable (reproducible) fact, it was hearsay, circumstantial, and had minimal value. The definition of paranormal is (claimed) occurrences and phenomena described as beyond normal experience and scientific explanation. It is outside my world. It is something I would reject, unprovable based on scientific method. In fact, paranormal activity and abilities are diametrically opposed to the forensic discipline. How can the two coexist in a heart-pounding mystery/thriller, and who is the audience? The Star Gate Project was brought to my attention by a friend. 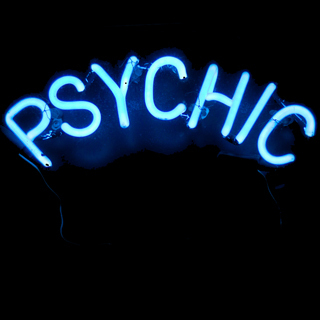 I had heard about psychic-weaponry before, but did not know the details or of our government’s involvement. On the surface I was intrigued and began my research. First, I focused on undisputable facts, the essential building blocks of a plausible mystery/thriller. Then I focused on the logic of it all—the participants, events, motives, and outcomes. Although the quantity of facts was less than I liked, there were enough to support a robust storyline. But that was not enough. My ultimate decision to write this forensic/paranormal novel came from the key questions that emerged. I knew the answers would be devoured by my readers. 1. Why would the United States Government spend millions of dollars over twenty-five years on any secret intelligence project the CIA cancels with no explanation? 2. Why were declassified documents woefully incomplete and redacted? 3. Why was a highly publicized government psychic-weaponry research project taken undergrown months after launch and congressional oversight restricted? 4. Why did the government contracted remote viewers (clairvoyants) disappear? 5. Do psychic-weapons exist today and how are they used? Londa Hayden, author of the Candy Moon series, recently had a book signing for her second book in the series Candy Moon Choo Choo. 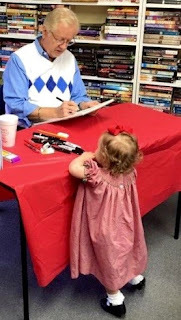 The signing was in Bartlett TN at Book Stop Plus, a local bookstore that has a strong connection with the writers and writers groups in the area. Londa made this a special family friendly event and many families came with children and grandchildren. I attended with my granddaughter Lily Sloane and Londa did not disappoint. Upon entering Book Stop Plus we were met by the author herself. This was nice being greeted by the writer, thanked for coming. Londa directed us to her hospitality table, book table and illustrator Nick Nixon’s table. She invited us to return and she would sign her books. Her hospitality table included copies of Candy Moon and Candy Moon Choo Choo you could thumb through. Also was a copy of the Candy Moon Choo Choo Coloring Activity Book. 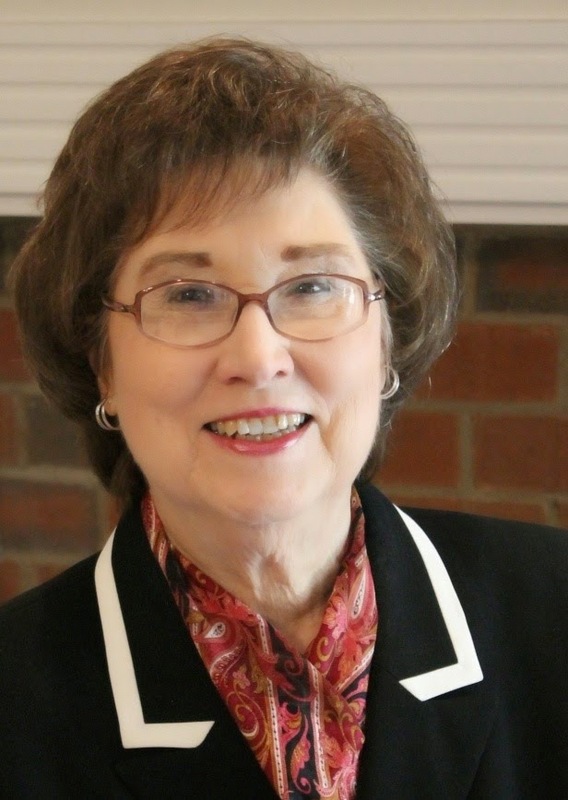 She also had directions to her social media sites, the site for downloading and printing free activity pages and her website which included all her books. 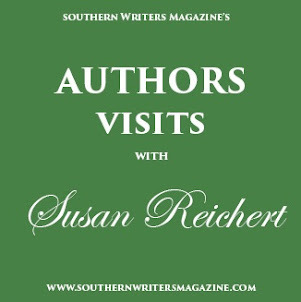 Fellow members of her Bartlett Writers Group worked the table and handed out candy, cookies and the like to visitors. The CD recordings of both books read by illustrator Nick Nixon was an added touch. Having illustrator Nick Nixon there was a very special pleasure for everyone attending. Nick has done some great work on these two books. Bringing his voice over experience from the advertising world to Londa’s CDs was again a treat. Nick had a busy table as well doing caricatures of the children which they all loved. Nick was wonderful with the kids and after meeting his grandchildren I can see his grand parenting skills are excellent. 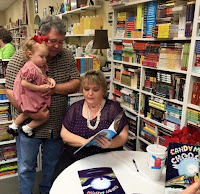 Londa not only signed the books but became involved with each child and took time to read something or show them something in her Candy Moon Series. 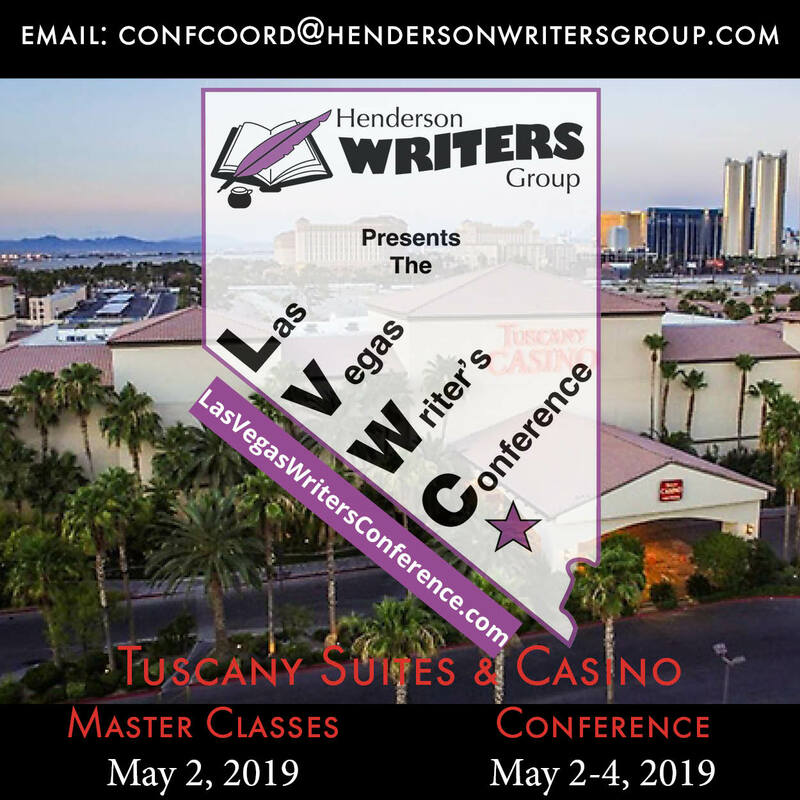 Londa used all available tools writers have to connect with her readers. I left thinking I can’t wait for the next book in her series. Londa made this an enjoyable event and all inclusive for families. Londa, well done! If you are a writer, you know that you face a labyrinth trying to get published. Writing is difficult, but it pales when compared to the dead ends, the wrong turns, the retracing of steps taken earlier, the lost sense of direction and general feelings of discouragement that follow. It’s a long journey; you must first write the book, then find an agent who believes in your work, which if you are lucky will result in a sale to the right publisher, followed by the terrifying and possibly mortifying editing process and then, eventually, publication. But there are occasional shortcuts, springboards, which help you, leap to the center of the labyrinth (or the Exit sign–depends which way you want to go). 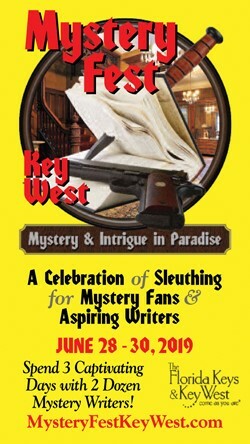 Probably the best for those of us in the mystery field is the annual First Crime Novel contest co-sponsored by the Mystery Writers of America and Minotaur Books (the mystery imprint of St. Martin’s Press). 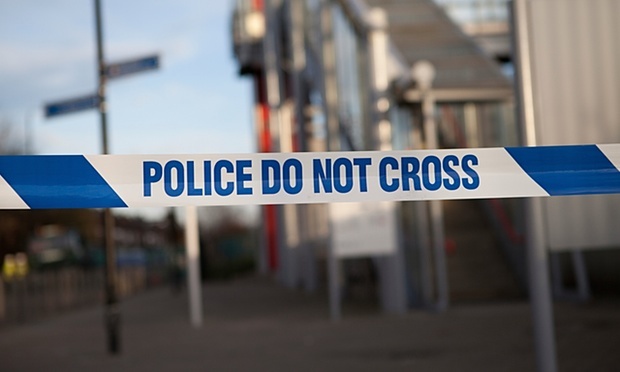 Hundreds of unpublished crime novels of every mystery sub-genre are submitted. MWA judges read, evaluate and choose the finalists, which are sent on to the editorial staff at Minotaur Books for the final decision. I had given up a demanding career to write full time. I’d tried to do both and couldn’t make it work, so I spent the next few months writing a lot and worrying just a little that I couldn’t make this work either. I entered the contest as a way of keeping my spirits up and giving me something author-ish to do. The win came with a St. Martin’s Minotaur publishing contract and a trip to New York to attend the MWA Edgar Awards Dinner. I was asked to keep the secret for nearly a month, until the announcement could be made at the Edgars Dinner. I tried. I really did. But within hours I had sworn all my family and friends to secrecy and before long I was blurting it out to waiters and people who telephoned to sell me vinyl siding. In the end, it didn’t seem to matter. I stepped on the stage to good-hearted applause from the hundreds of mystery writers, publishers, agents, editors and other guests present, and took possession of the most attractive chunk of acrylic I have ever seen. Agents returned my calls and I chose one to help guide my future career. After edits and polishing and all the things that go into getting a book ready for traditional publication, I will be able to hold it in my hand on December 15th. The important take-away here is that I had absolutely no expectation of winning. 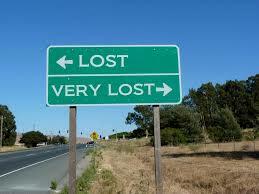 And who knows where that will lead you?